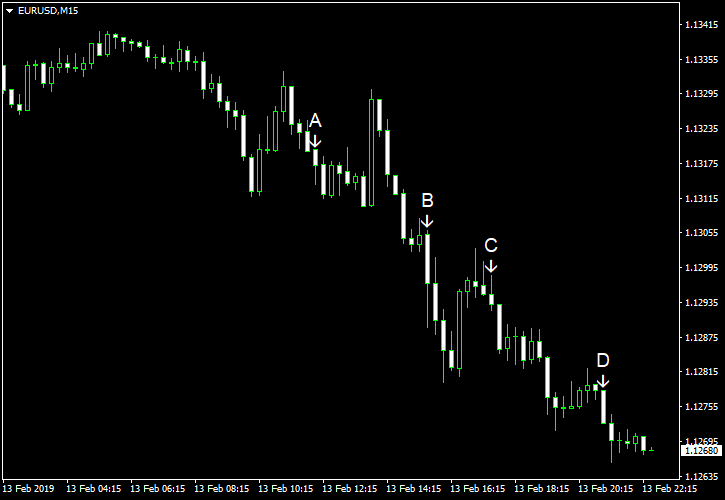 EUR/USD fell today, reversing yesterday’s gains. Market analysts argued that the possible reason for the decline was the bigger-than-expected contraction of eurozone industrial production. (Event A on the chart.) Macroeconomic data in the United States was not good as well, but that did not prevent the dollar from rising against the euro.